All proceeds are donated to the Juvenile Diabetes Research Foundation. 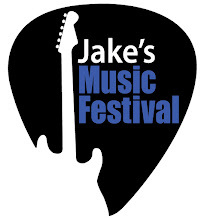 We are pleased to announce that Jake's Music Festival will be returning to Wealthy Theatre in Grand Rapids, Michigan. The 12th annual event celebrating local music takes place April 16, 2016. Watch this space for a list of bands that will be performing this year.